Everyone is coming out with their own personal New Years resolutions, goals and "contracts with self" for 2014. 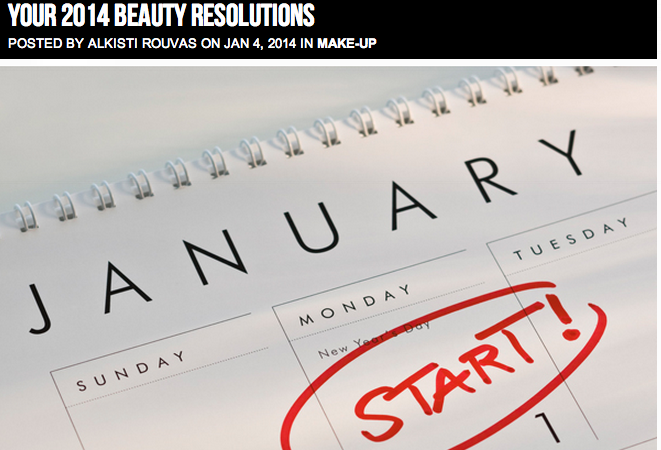 So I thought, why not have some beauty resolutions? I always seem to have goals for myself when it comes to anything beauty related anyways! I wrote another little piece for Indecent Xposure that gives a few good ideas for beauty resolutions for this year, or just for any time of the year, really. I'm going to try to stick to these myself, so feel free to add them to your list! Or if you create some of your own, feel free to share in the comments here or at ixdaily.com. Click here for Your 2014 Beauty Resolutions. What resolutions, goals or contracts will you be making for yourself this year? Do you think anyone gains anything from resolutions?